I grew up travelling. One of the many perks of having a mum who works for Qantas meant that we travelled the world form a young age. I knew even then how lucky we were to be able to do this. I fell in love with these experiences and the excitement of seeing a place for the first time and being completely immersed in their culture. From the age of 22, Jake and I have travelled the world. When we had Knox, this was something we wanted to continue to do. 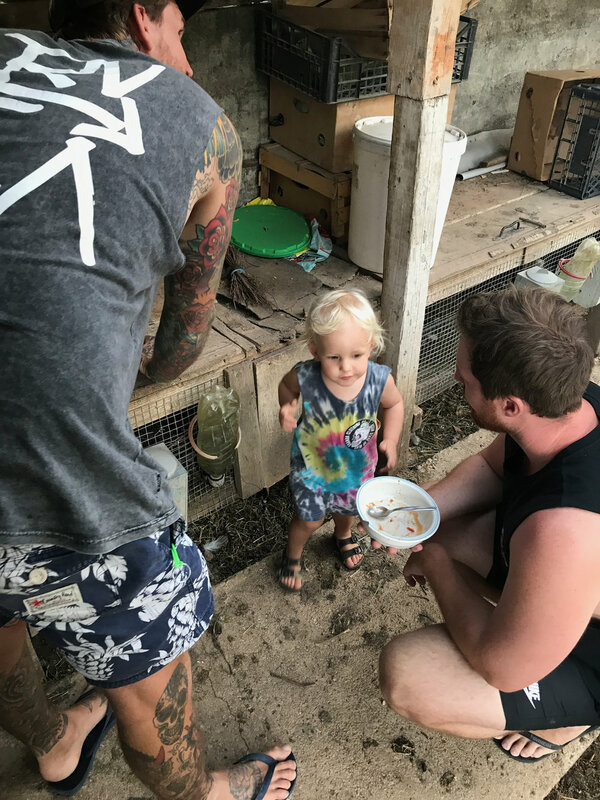 I believe one of the best things in life we can give him is the experience of different cultures and opening his eyes to a way of life beyond our own little world. Our biggest trip with a toddler in tow was to Europe in 2017. My Baba lives in Croatia so it’s a good excuse to venture to this incredible part of the world. When we told people we were travelling so far with Knox a common response was “you guys are crazy” and “I would NEVER travel with my toddler” or “what a nightmare”. Don’t get me wrong, not everyone said things like this, we also got a pat on the back saying “good on you, he’ll be fine”. However my reason for writing this blog is to share our experiences, why we love doing it, and keep going back for more! 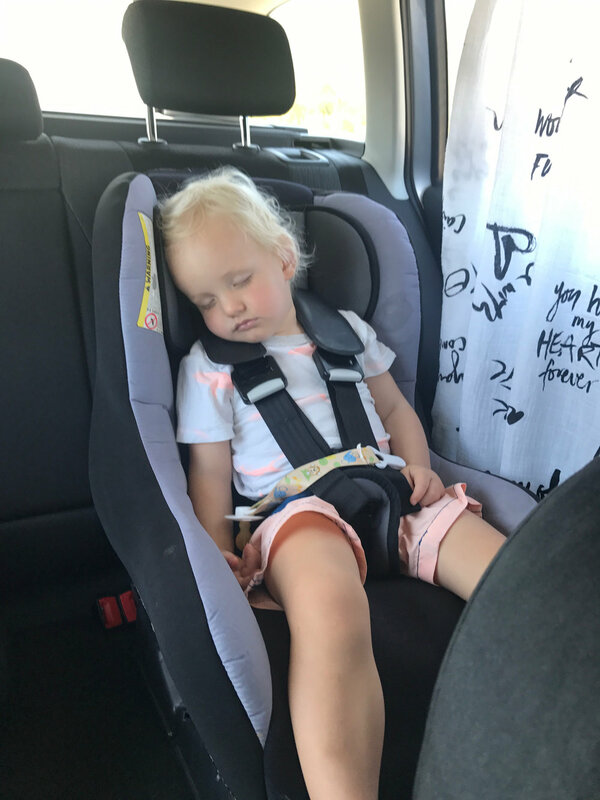 Yes, travelling with a toddler can be challenging and exhausting, however if you go into it prepared you will survive the flights (see my previous Bali blogs on how I get ready and what I pack). For us, the benefits of travelling with a toddler far outweigh the ‘nightmare’ of flying. Travelling definitely shakes up the normal routine of home life , but this isn’t always a bad thing. It’s beneficial for everyone, teaching both you and your toddler that it’s ok if nap time is drawn out or missed, It’s ok if they nap for 3-4 hours one day and go to bed much later than usual. We tend to just go with the flow. Things don’t always go to plan which you just have to accept. If Knox was out of sorts one day, we’d just go back to our room and take it slow for the day. If he had a nap until 5pm – great! It meant we could go out for dinner without him being too overtired. We always had toys or an iPad on hand to help him sit through meal times. Even now, Knox will still sleep anywhere, because we’ve always encouraged it, which has made our lives so much easier when we’re in a new place. When Knox was born, Jake was only able to take 10 days off work. Generally he works 5-6 days a week and I am now working 4 days a week. 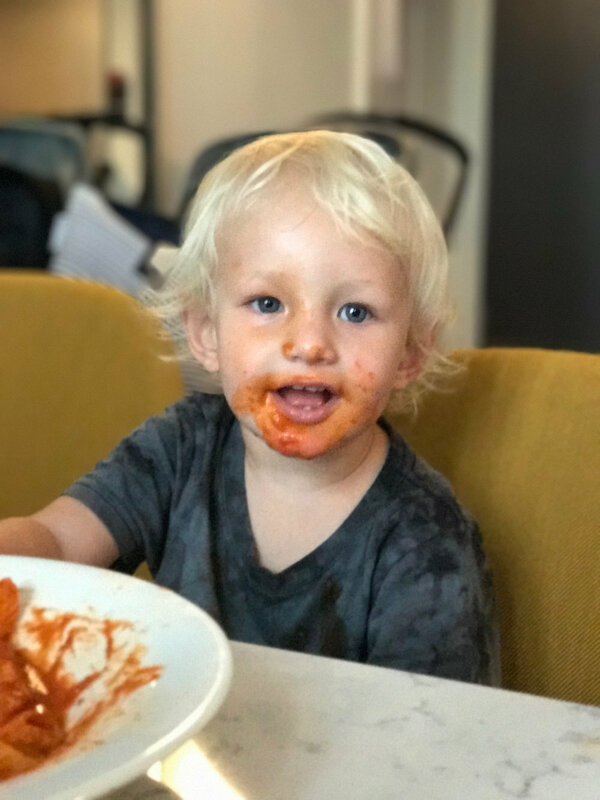 This certainly makes us both appreciate the days we have with Knox so much more, but as far as the amount of time we spend together goes…well...that’s a bit hard when we are running businesses/ pursuing careers. And sure, we’ve taken mini breaks here and there, however this trip to Europe we had a solid month together. We obviously work hard to be able to take time off and travel, and I cant even begin to explain how much we all needed this, I’ve realised how much we take for granted the benefit of quality family time. We noticed so many positive changes in Knox. His speech improved so much because we were able to spend the time with him. And this doesn’t just apply to our time with Knox, Jake and I came back so relaxed, refreshed and more connected. Following on from the above, travelling gives us all a chance to slow down from the hustle and craziness of the day to day. It can be exhausting, and usually involves eating out with late nights etc. If we felt we needed to take it easy for a day, that’s exactly what we did. The type of travel where you cram a lot into the day, has never been for us. And sure, we’ll research where we are going and have an idea of what we would like to see and do, but when travelling with kids, we definitely don’t forward plan or book anything in. Our life at home is so structured with work and daycare, we like to completely slow it down on holidays, without having any obligation to be anywhere at a certain time. This attitude will also have a positive effect on your kids as they will feed off your more relaxed energy. And of course, the culture! That little addictive thing which draws us to so many places far and wide. It’s being immersed in a different way of life. It’s the food, the music, the smells. Experiencing another culture is definitely an eye opener and can at times be a little confronting, and our kids from a young age will recognize these differences. It will teach them gratitude and respect. As Knox gets older, we try and explain where we are going and what we are doing. We show him photos or youtube videos, I will (attempt) to cook a local cuisine, all in preparation of the culture we are going to experience. I have loved watching Knox take it all in, seeing the world through your childs eyes for the first time truly is magical. Sure, Knox won’t remember going to Bali when he was 6 months old. However it is also memories for us. It’s knowing that we craved adventure, even when it wasn’t as easy as it used ro be, and made it happen. The older he gets, the more he remembers. He will fondly speak about going on an airplane and asking where we are going next. We also love sitting down and showing him photos and videos and speaking about our experiences in these places. Yes, travelling can be expenseive, but you can’t place a price on these memoires you will make togheter. I’m hoping we will pass the desire to see and experience more onto Knox. I hope we’ve given him the ability to open his mind.